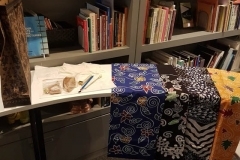 Batik is a well-known traditional fabric of Indonesia that employs a technique of applying wax-resist dyeing to the cloth either by drawing dots and lines with a spouted tool (canting), or by printing various motives with a copper stamp (cap). 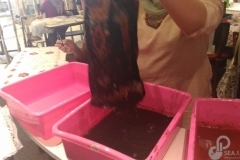 The wax-resist prevents dyes to penetrate, so that only the parts without wax will be colored. 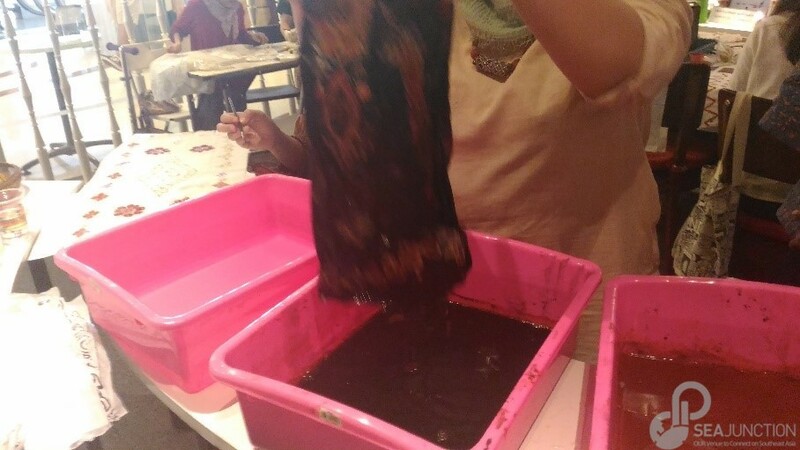 Wax can then be removed with boiling water and a new color eventually applied until the design is completed. 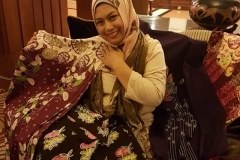 Most people are familiar with batik from Central and West Java, but East Java has also many areas, including Madura, Sidoardjo, Jember and Bondowoso, where batik have been produced for centuries with patterns quite distinct from other parts of Java. 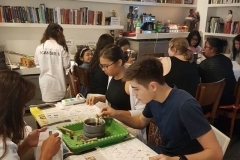 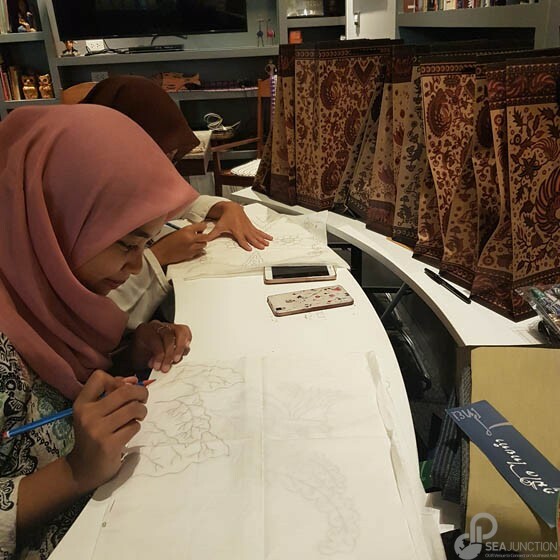 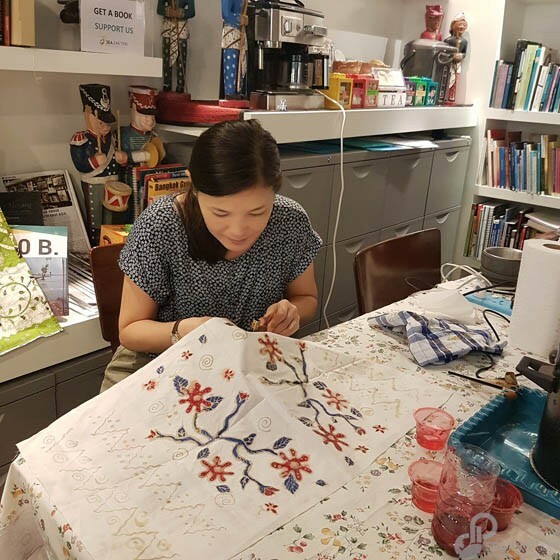 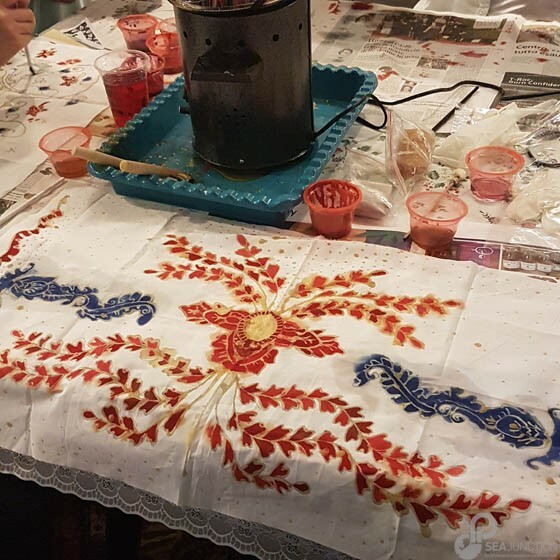 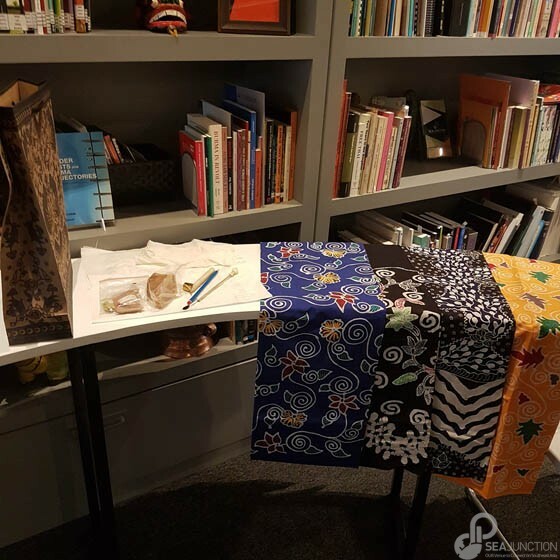 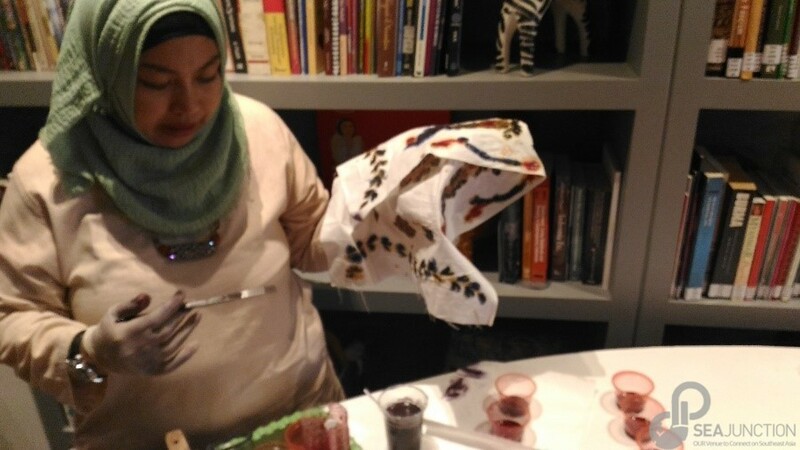 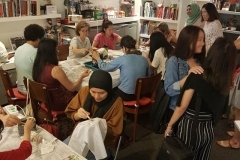 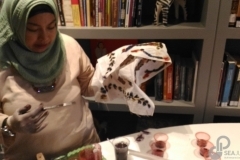 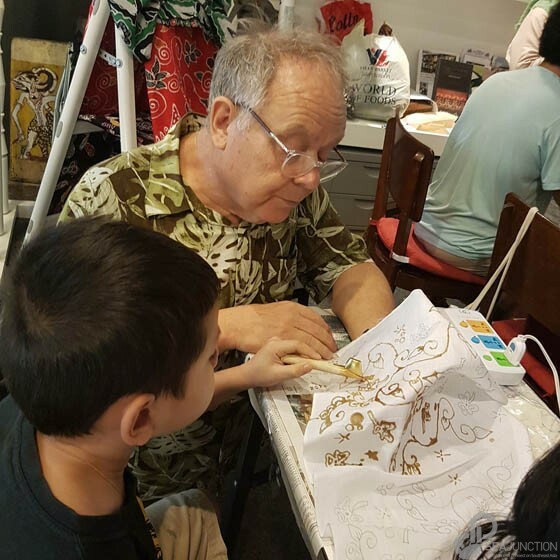 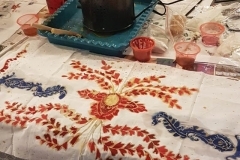 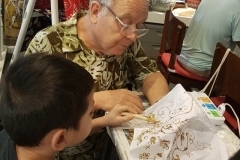 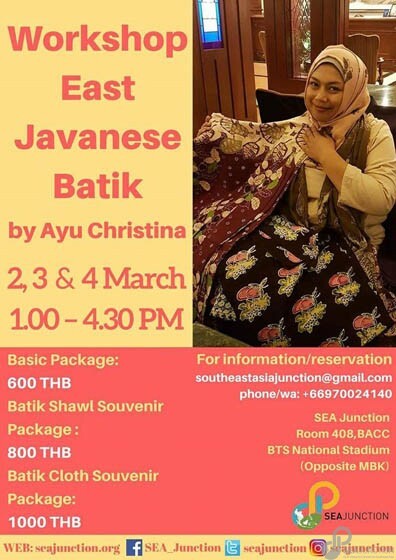 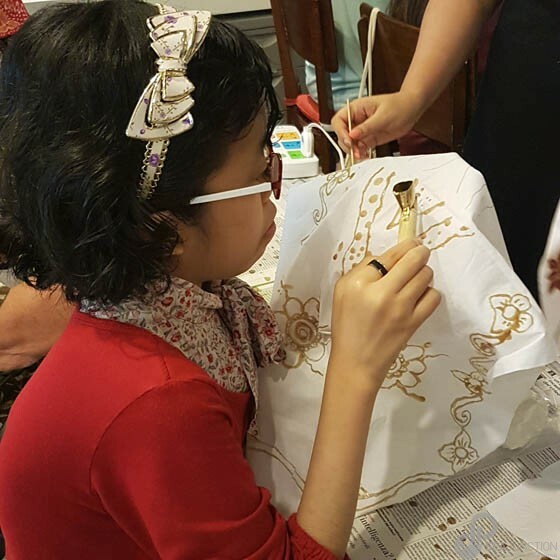 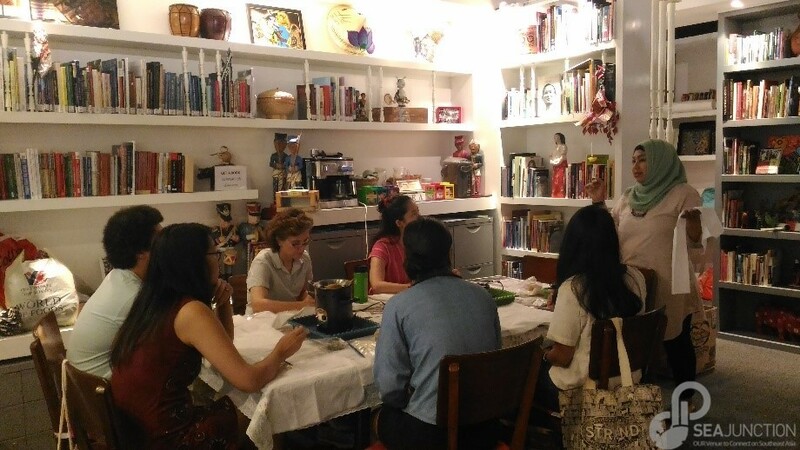 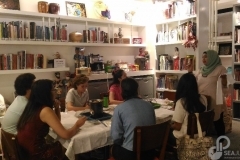 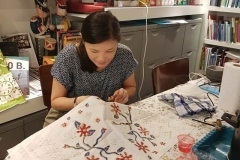 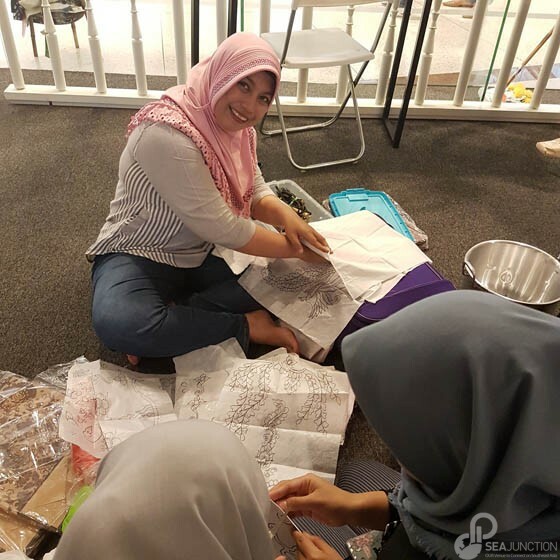 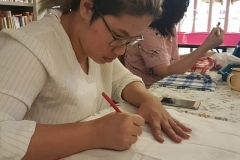 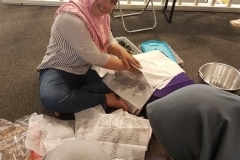 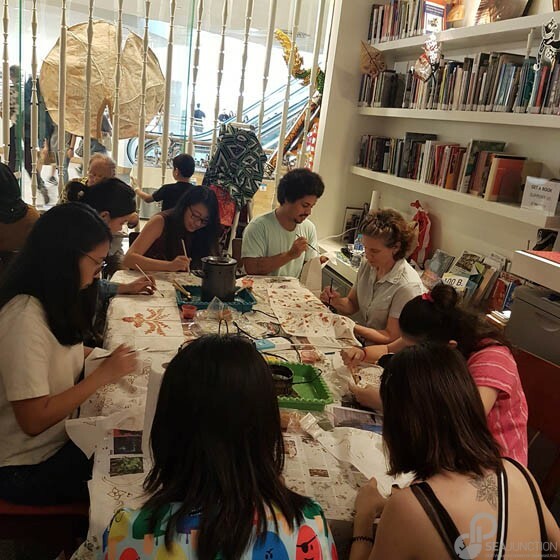 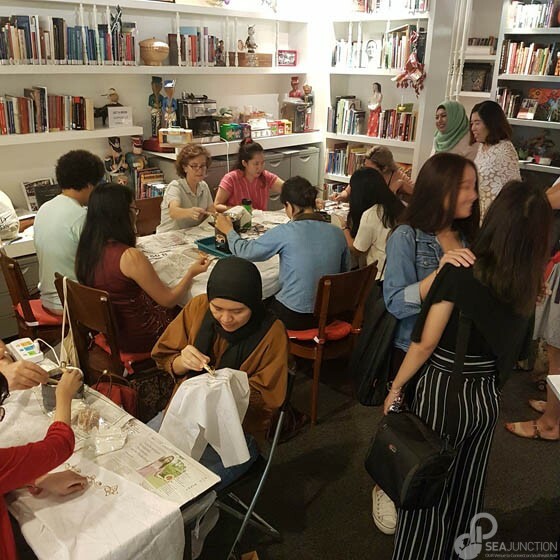 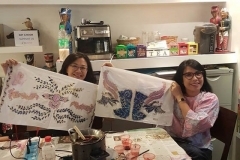 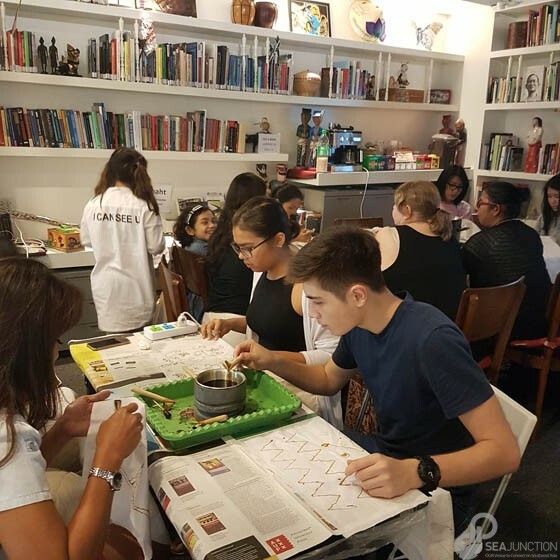 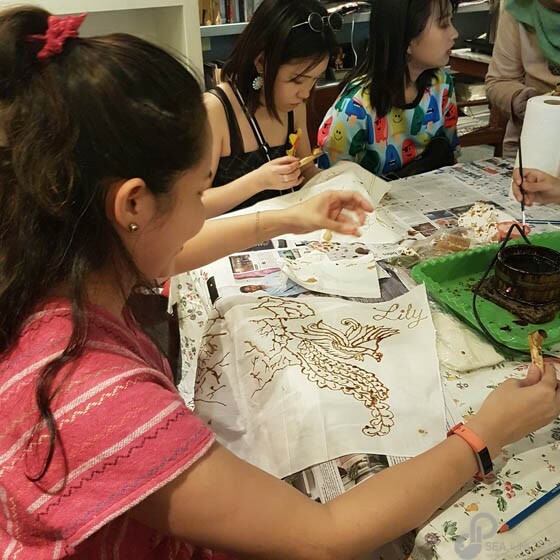 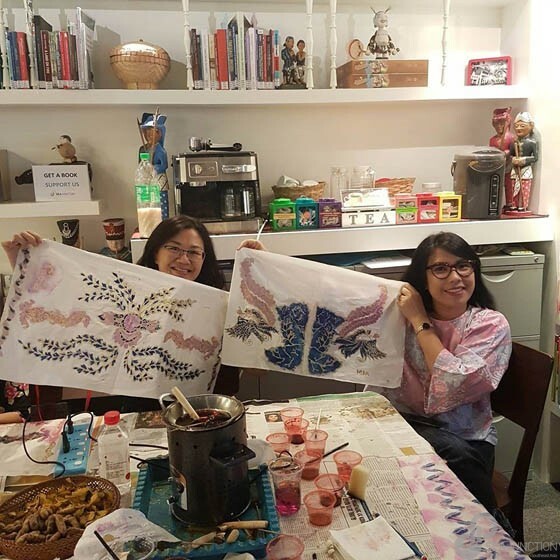 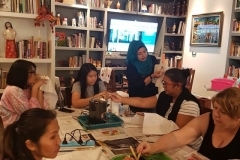 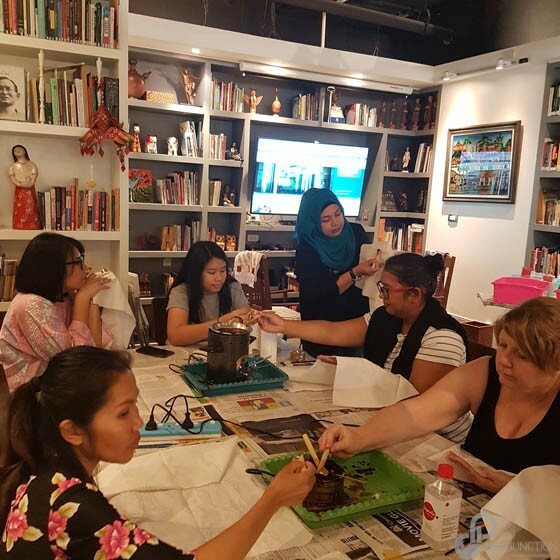 The three workshops held at SEA Junction on 2, 3 and 4 March from 1 PM to 4 PM introduced the participants to the East Javanese batik by having them practice the batik making process. 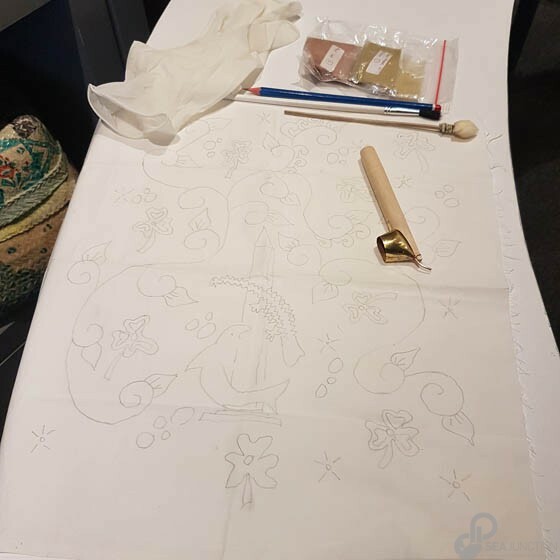 Each class was complete in itself and started from the applying of the wax to the already patterned cloth to the cloth being dyed and, lastly, to the taking away of the wax. 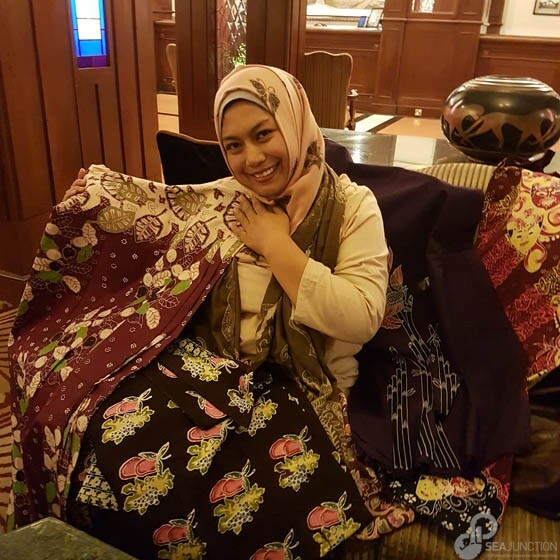 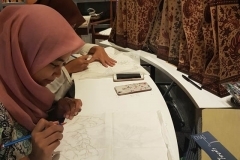 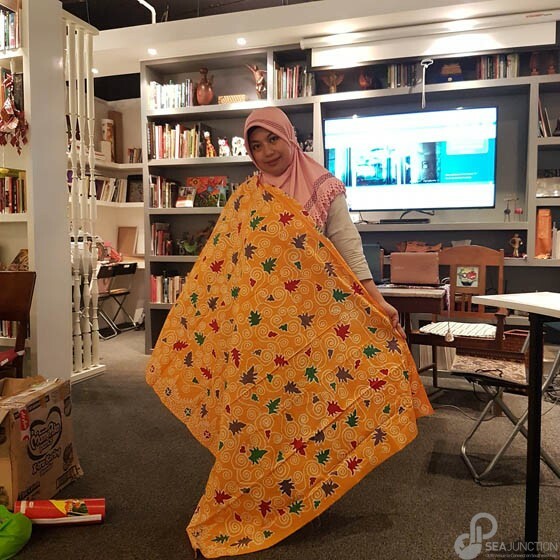 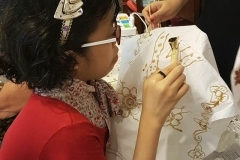 Each participant received a small cotton cloth with motifs already designed by the instructor, Ayu Christina, a professional batik maker from Sidoardjo, East Java. 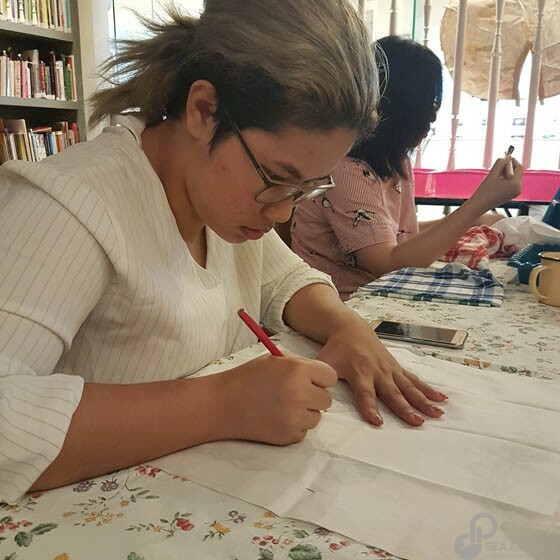 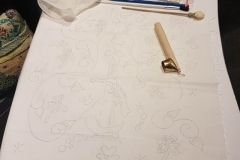 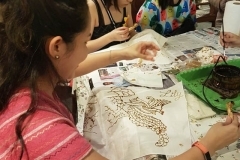 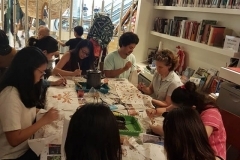 This was because of time constraints, but if there is interest, separate classes focusing on the design of the patterns helped in the morning from 10.30 AM to 12 PM, to be continued at 1-4 PM with the regular class.